UPDATED – VATICAN CITY (CNS) — French Cardinal Philippe Barbarin of Lyon said Pope Francis would not accept his resignation following his conviction for covering up clerical sexual abuse, so he has decided to step aside temporarily for the good of the archdiocese. 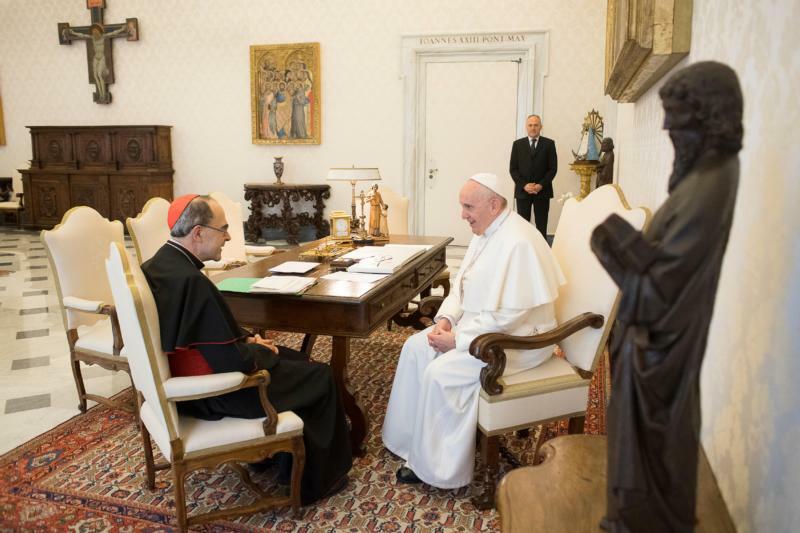 In a statement published by the Archdiocese of Lyon March 19, Cardinal Barbarin said Pope Francis, “invoking the presumption of innocence,” declined to accept his resignation. The cardinal’s lawyers have filed an appeal of the conviction, which was handed down March 7 by a French court. “At his suggestion and because the church of Lyon has been suffering for three years, I decided to step away for a while and leave the leadership of the diocese to the vicar general,” Cardinal Barbarin said. The court found Cardinal Barbarin guilty of covering up abuse by Father Bernard Preynat at Lyon’s Saint-Luc Parish, where he ran a large Catholic Scout group in the 1970s and 1980s. Although Cardinal Barbarin did not become head of the Lyon archdiocese until 2002, it was alleged that he had known of the abuse at least since 2010.